About 2.4 million middle and high school students were current (past 30-day) users of electronic cigarettes, or e-cigarettes, in 2014. Most e-cigarettes contain nicotine, which causes addiction, may harm brain development, and could lead to continued tobacco product use among youth. There are suggested questions that pediatricians, nurses, and other health care providers can ask adolescent patients. Zika virus is spread to people through mosquito bites. The most common symptoms of Zika virus disease are fever, rash, joint pain, and conjunctivitis. 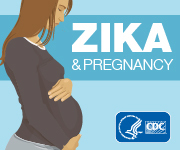 Transmission of the virus from mother to newborn can occur if the mother is infected with the Zika virus near the time of delivery. An overdose of Guaifenesin DM may cause hyper excitability, rapid eye movements, changes in muscle reflexes, ataxia, dystonia, hallucinations, stupor, and coma. Other effects have included nausea, vomiting, tachycardia, irregular heartbeat, seizures, respiratory depression, and death. Prescribers should specify the dosage form, strength, and frequency on all prescriptions they write for Noxafil. Pharmacists should request clarification from prescribers when the dosage form, strength, or frequency is not specified. After two reports of catheters breaking during insertion, the recall states to discontinue use of the product.